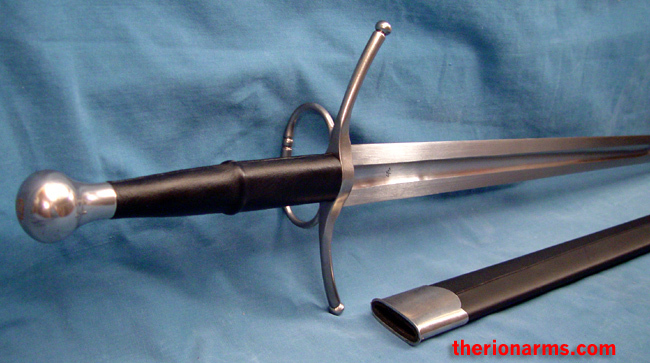 The Rhinelander longsword, a late 15th century central European cut-and-thrust sword, is a handsome piece that will be appreciated by both reenactors and cutting enthusiasts. 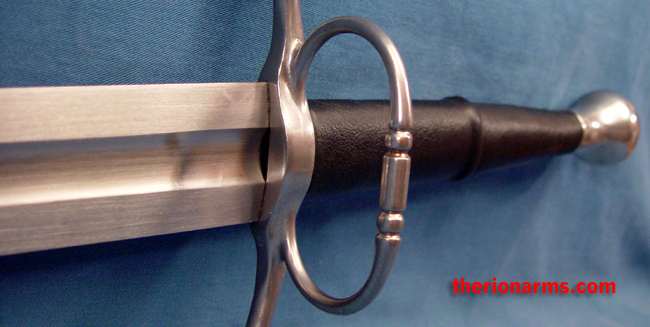 The ring-guard hilt and scent-stopper pommel balance a riveted-tang fullered blade that has been forged from 5160 high-carbon steel hardened to 54HRc for an optimal combination of edge-holding and resilience. 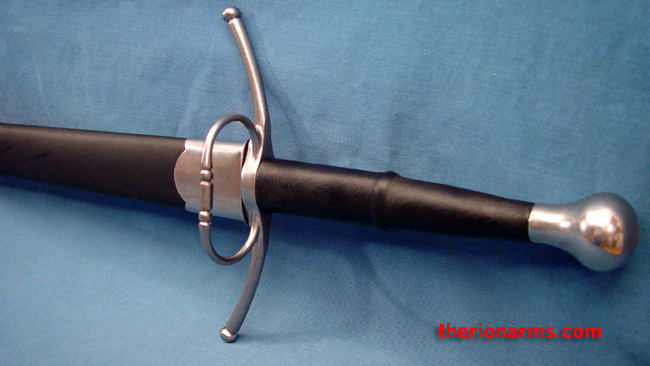 Wood core leather-wrapped scabbard is included. 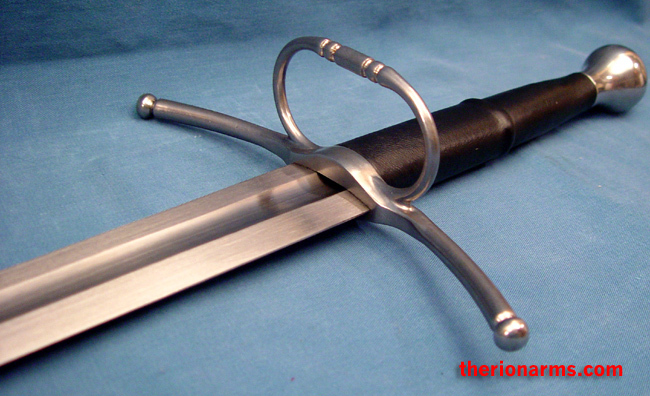 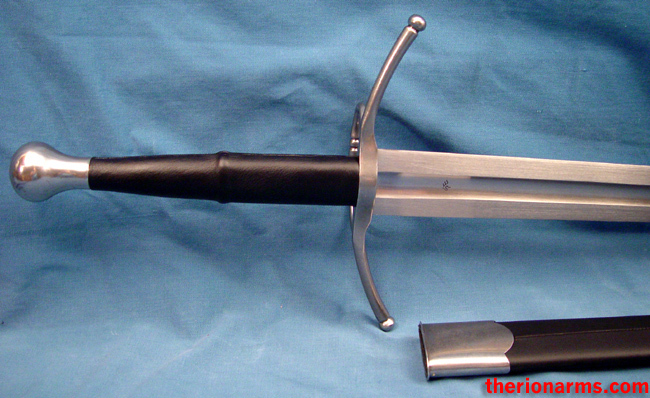 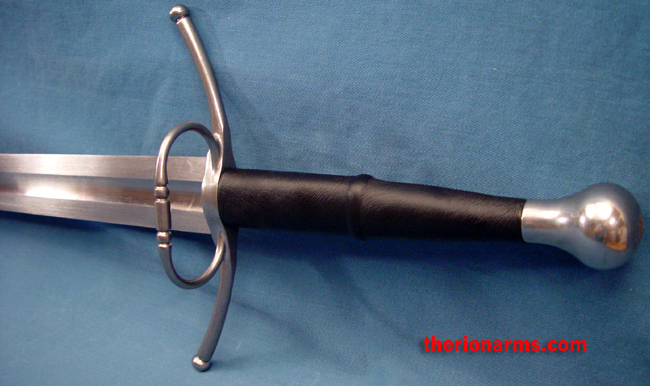 The name is Germanic, but this style longsword was used all across Europe, by all schools and styles of fencing. 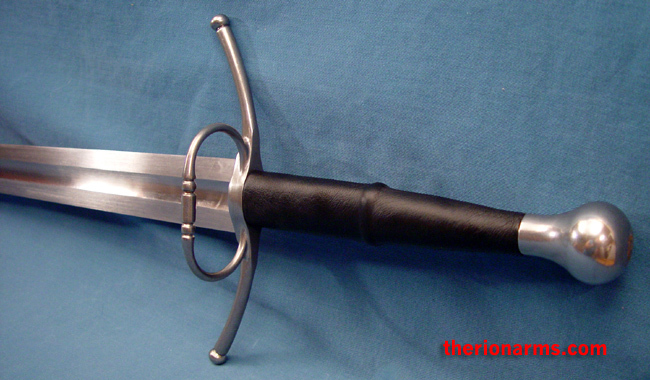 This longsword is a classic! 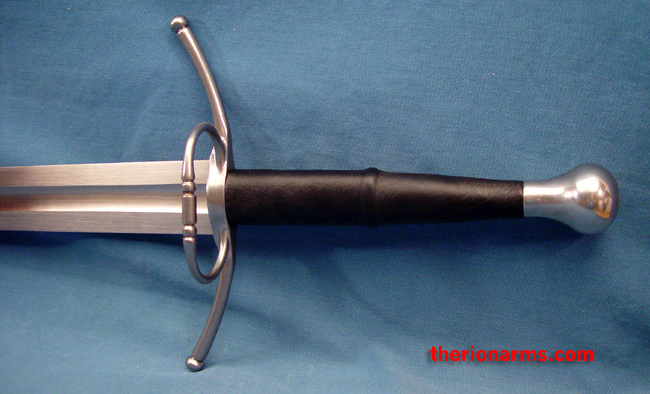 grip and pommel: 9 1/8"
ring: 1 7/8" x 3 3/4"